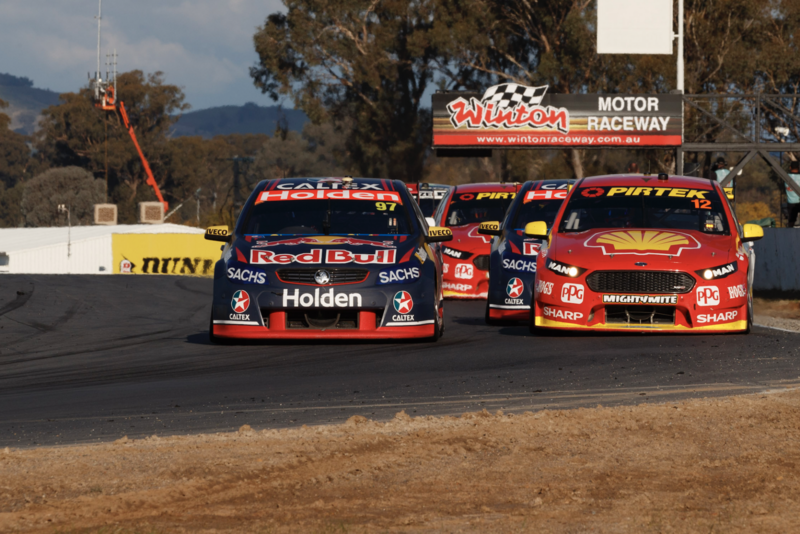 Recent championship winning experience may give the Red Bull Holden Racing Team the edge over new rivals Shell V-Power in this year’s title battle, believes Adrian Burgess. The Englishman watched the recent Winton SuperSprint on television after being relieved of his Mobil 1 HSV Racing team principal duties a week before the event. Burgess led the now Shell V-Power branded squad to the championship in 2010 before moving to Triple Eight, where he was team manager for two title winning seasons. While the Shell team has had the edge on outright speed in the early part of the season, its sudden uplift in form has included several errors that have cost points. 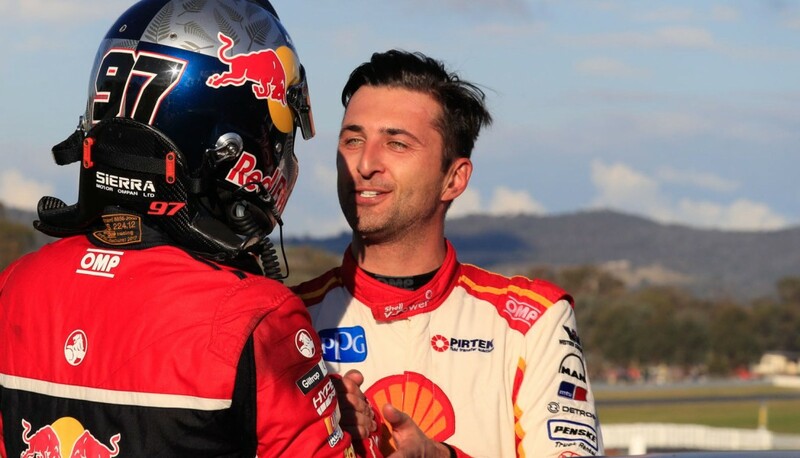 Drivers Fabian Coulthard and Scott McLaughlin are both shooting for their first championship, while Red Bull pair Jamie Whincup and Shane van Gisbergen have six and one respectively, all won with the Queensland-based team. “It would be great to see McLaughlin up there and Coulthard up there (winning the championship). “Out of those two I think Scotty has just got it a little bit over Fabian, but they’re both driving really well and they’re both now in a good team. “The Red Bull guys probably sneak it for me a little bit, only really because they’ve both been there before. “Jamie has won six championships. He knows what to do and when to do it and he’ll be very calm and measured about the way he goes racing. “He’s been in this situation a million times so the pressure won’t really get to him and the team has shown many times they’re used to running at the front and winning championships. “Penske (Shell V-Power) I think will have the car capable of doing it but it’s about putting everything together over the course of the whole year and at the moment they’ve shown to make a couple of small mistakes that have cost them a few points here and there. “(It’s) a couple of strategy errors, drivers going through red lights under the Safety Car, small things like that. They’re the small little one-percenters that come to you with the experience of racing at the front on a regular basis. “I’m sure they’ll get those things over time but at the moment you know that Red Bull very rarely make mistakes. While he’d like other teams to join the fight, Burgess sees Prodrive as the only one capable of providing a consistent threat to the front-runners this season. “I think we’ve seen over the years, my old mob (Mobil 1 HSV) has been fairly good on street circuits and Brad Jones Racing were good on really high grip circuits,” he said. “But as a consistent player day in, day out, there’s three top teams and really it's Penske and Red Bull at the front on their own and PRA as the best of the rest. “Unfortunately at the moment I don’t think anyone else is really operating at that level, but to be fair they probably haven’t got the budgets that the front guys do either. “It sounds like a cliché but unfortunately it’s part of the game and the facts of what we do. Burgess is currently weighing up his own future following his exit from Mobil 1 HSV, which is in turn searching for a replacement team principal.